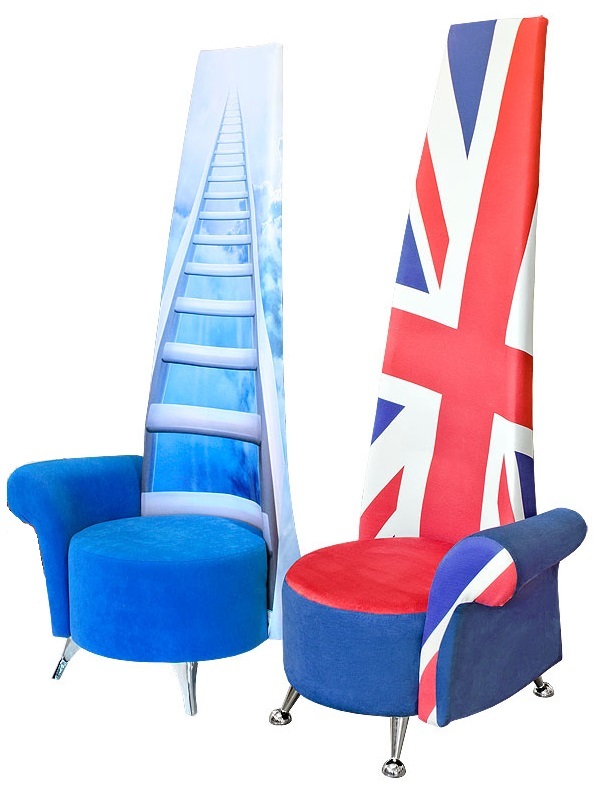 Custom Potenza Chairs - Snazzy Stairway or Union Jack Designs! The Custom Potenza chair is a bespoke design, made to order. The quirkiness has been translated into these retro versions. Don't delay buy YOUR Retro Potenza Chair TODAY!